The Aurora AS105MQ is a micro cut paper shredder that will shred up to 10 sheets of paper at a time into very secure 3 x 9mm pieces meaning an A4 sheet is shredded into over 2000 particles. It can also shred 1 credit card at a time and there is a separate slot for CD destruction. The AS105MQ is equipped with Shred Safe, an adjustable safety cover which can be used as an emergency stop, it will also stop the shredder should it detect forced entry of any kind. The AS105MQ has a large 26.5L pull out waste bin which is easy to empty and castors on the base make it easy to move the shredder around. 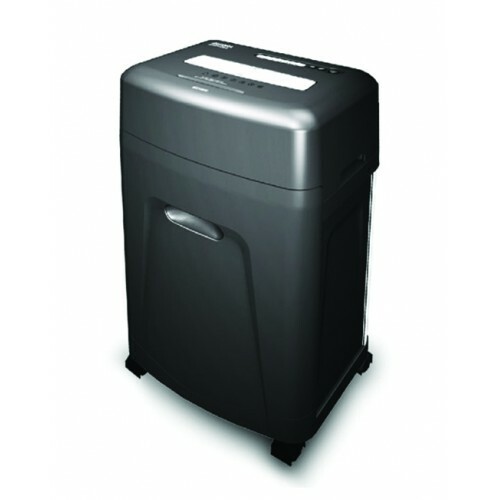 The AS105MQ is ideal for offices and users who require a high security shredder which is also quiet and has a large waste capacity.